Robinson, Lynn A. 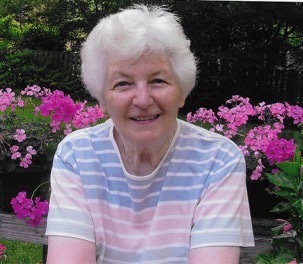 86 of Winchester, MA passed away peacefully on March 29, 2018. Lynn was the 2nd of 3 children born to the late Captain Lloyd J. and Frances Victoria Aitkens of Mt. Airy, MD. Beloved wife of the late Donald J. Robinson, happily married for 66 years. Loving mother of the late Donald J. Robinson, James S. Robinson and wife Ginger of Mineral, VA, Victoria S. Robinson and spouse Dena Caradimitropoulo of Boxborough, MA. Beloved Grandmother of Beth C. Robinson and husband James Fealey, Joseph and Lara Caradimitropoulo. Dear sister of the late Sidney Aitkens and wife Pat Aitkens of Woodstown, NJ, Sally and husband Linden Albright of Oakton, VA. Lynn is also survived by many nieces, nephews, and cousins plus two great granddaughters, Elise and Cate Fealey. Lynn spent her youth in La Jolla, CA and Minneapolis, MN before moving to Winchester. She was an exceptional student athlete at WHS excelling in field hockey, basketball and swimming as a member of the National Honor Society. She attended Tufts University majoring in Psychology where she met Donald. After marrying, Don and Lynn moved to Maryland where they raised their family. Lynn enjoyed a number of different careers throughout her life including being a training supervisor for C&P Telephone, a PC consultant, a tennis instructor and a real estate agent. 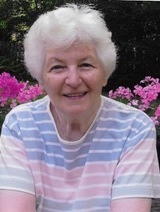 She enjoyed sewing, photography, tennis, skiing, gardening and traveling. A memorial service celebrating Lynn’s life is planned for Saturday, June 9th at 11am at the Lane Funeral Home, 760 Main Street, Winchester. Interment will follow in Wildwood Cemetery. All friends and family are welcome to attend. In lieu of flowers, donations in Lynn’s memory may be made to the Winchester Public Library, 80 Washington St. Winchester, MA 01890. For online condolences please visit www.lanefuneral.com.